Here are eight things for you to do to prepare your lawn for spring and the coming summer months so that you can enjoy your yard with your family to the fullest. The good news is that you can knock these off your list easily and you’ll be all set for spring. The bad news is that if you don’t perform spring lawn care then you can end up paying for it the rest of the year. Compared to the summer cutting you will have to do to maintain your lawn, the spring maintenance is a little easier as the amount of work isn’t as extensive and once it’s done it’s done. Raking to remove debris left over from winter to clean your yard and prepare it for the coming season. Check for compaction that usually occurs from the heavy snow and ice that sits on top of your lawn or if your lawn is subject to heavy traffic. Compaction is easy to identify as you will look for signs of moss and fortunately it is also easy to fix with lawn aeration which is the remedy for compaction. Liming can also restore your soil back to a neutral pH level which it likes. If you see moss this is also a sign of high acidity levels in the soil. Overseeding will help to restore your lawn and get rid of bare patches. Apply a slow-release nitrogen fertilizer when you overseed. Five weeks after the grass germinates, apply quick-release nitrogen fertilizer. Fertilize your lawn with either natural or chemical fertilizers that will promote lawn health. 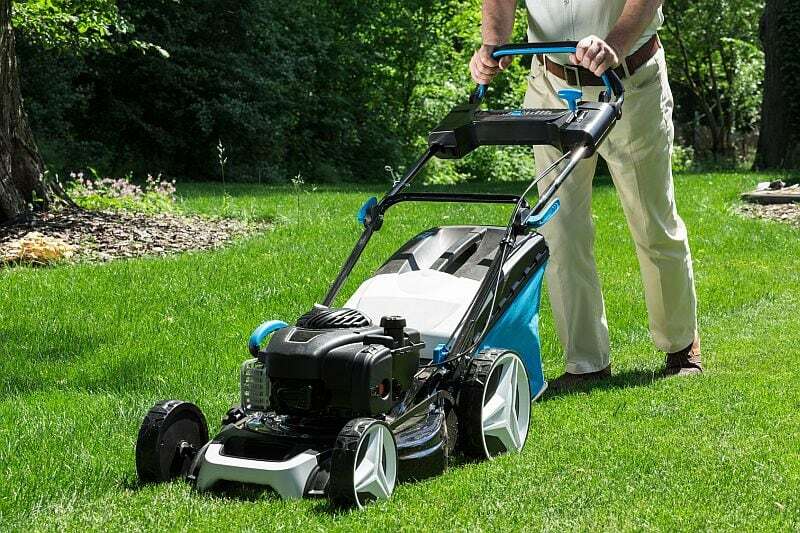 Tune-up your lawnmower or buy a new one to ensure that you are ready for the coming season of grass cutting so that your job is easier.